Highly pigmented blushers to brighten and define cheekbones, available in 7 shades. These silky-fine and long lasting blushers create a subtle and radiant glow and suit all skin tones. Brand new and guaranteed 100% original Sleek Makeup. Suede (for light skin tones) and Sunrise (for darker skin tones) double up as fantastically pigmented bronzers. Use in conjunction with Face Contour Kit for defined, tinted cheeks. 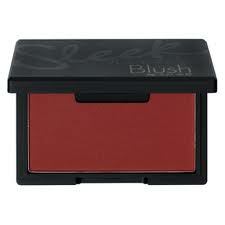 You may apply using a small powder/blusher brush by swirling the brush over the surface of the blusher. Tap off excess powder and apply onto the apples of the cheeks to emphasize your cheeks and your smile. Mica, Talc, Bis-Diglyceryl Polyacyladipate-2, Pentaerythrityl Teraisostearate, Nylon-12, Magnesium Stearate, Jojoba Esters, Dimethicone, Polyethylene, Phenoxyethanol and Chloroxylenol. May contain: [+/- CI. 77891, CI. 15850, C1 45410, CI. 77360, CI. 19140, CI. 15985, CI. 77492, CI. 77491, CI. 77499 CI 77742]. Suitable for vegetarians. Suitable for vegans. We are not affiliated with any brands mentioned at Lunavocy.com and we are not their sales representative, an employee or in any way. We just happen to love their products and sharing the good bargains with everyone. 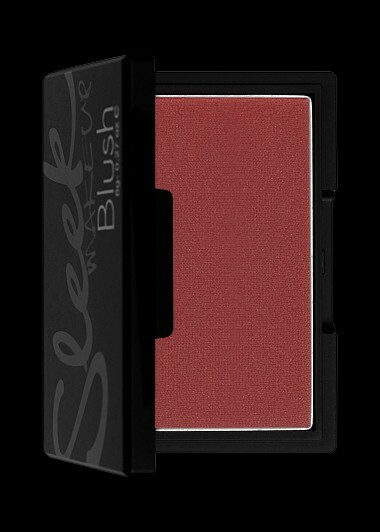 All pictures and description are credited to Sleek Makeup.